I got this gig from Marlon Wiebe, and a nice recommendation from Jake Rodkin of Campo Santo; thanks everyone for hooking me up! Dave Gilbert also thought I'd be a good fit based on my Thimbleweed Park and Firewatch trailers. I've known about Wadjet Eye for a while, but admittedly I've only played a couple of their games. I love point and click adventure games, so there's really no good excuse. Dave cut the trailers for all his previous games, but communicating Unavowed's unique design was giving him headaches, so he sought out help. Other than the urban fantasy story of a secret society of protecting the world from supernatural forces, the hook for Unavowed is its Bioware RPG-like character system. In the game you can choose the gender of your protagonist, as well as an origin that gives you different dialogue choices/abilities when playing the game. On top of THAT, you have multiple party members to choose from when going on the missions. This affects the dialogue, puzzles, and NPC banter that happens when you're walking around. Just thinking of the amount of variations makes my head spin. One debug tool was the ability to select a character and re-position them. That let me get shots where they weren't walking in clumps. It was very important to Dave that the teaser communicate some of this system. I knew right away that we really really didn't want to use trailer-y title cards like: "CHOOSE YOUR ORIGIN!" In my opinion, that style/tone is better for gameplay focused games, not narrative games. It's important for the tone of the trailer to fit the game, and also the desires of the target audience. After playing the game, I instantly honed in on the subway car scene where you pick your party members. This part of the game most explicitly shows the player making a choice between characters. The unnatural look of the characters standing up and swapping places instantly screams "VIDEO GAME!" without actually screaming "GAMEPLAY TRAILER!" With this scene alone (hopefully) solving the gameplay hook problem, I just needed some character dialogue or voiceover that fit with it. So began the rigorous process of going through the dialogue scripts for the entire game ^_^; I've mentioned this process before for the Thimbleweed Park trailer and my blog post about breaking down dialogue. There's no fast way to do it; the key is to have an instinct for what constitutes good "trailer dialogue," and knowing how to organize it. It's hard for this shot to say anything other than "CHARACTER SELECTION SCREEN" at me; it also made me miss NYC (even though these seat colors don't exist on trains with this seat configuration). None of the dialogue for the game was recorded yet, so it was important to hammer out the trailer's script first. There are a lot of characters in the game; I sorted the scripts by file size so that I could start with the characters with the fewest number of lines, and quickly work through them (when doing very tedious tasks, I like to set up mini milestones so that it feels like I'm progressing.) Of course, the last scripts ended up having all the best lines because they were from the main characters, but at least it's all organized if/when needed for a future trailer! I knew that there's eventually going to be a launch trailer, so the story I put together for this teaser is a high level view instead of a plot-oriented one. This meant introducing the world, the characters, and a very basic idea of the antagonist. The first script was mostly the same as the final, but we went through some versions with help from Emily Morganti who's a writer and PR consultant that works with Wadjet Eye and many other game developers. Emily's main concern with early drafts was that one particular section focusing on the protagonist felt out of place in a teaser that was otherwise giving a top level view of the story. So I found some different lines to be more consistent with the rest of the trailer's story. Emily also noted that my capture favored the female protagonist, so I recaptured a few shots to balance them out. Dave's main critique was he wanted more of the money shots. Usually it's the other way around where the trailer editor gravitates towards the money shots, and has to dial it back. I might have internalized the audience desire to avoid spoilers a bit too much, which made me more timid in my shot selection. Some cutscene shots were added later in the process, which added a lot of visual interest! Shots that are exciting might feel kind of static, but what matters is contrasting it with other more sedate shots. To make for a most interesting trailer in a point and click adventure game, include as much animation and as many establishing shots that you have. What you want to avoid is simply showing characters walking around (which is what most of the shots tend to be). That said, good voiceover will make the trailer much more watchable. After we finalized the script, Dave sent it to Sungwon Cho to record his voiceover; he totally nailed it! I had to adjust my cuts here and there where his reading was slower than my terrible scratch VO, but nothing that was terribly difficult to do. I've been experimenting with improving the sound mixing of my trailers; for this trailer I used some compression on the voiceover, which instantly made it pop. I did a double take when I first heard it, because I instantly recognized the feeling I've had in the past hearing my mix compared to one from a sound mixer. Note to self: Compression is one thing the sound mixer does to make it all sound way better. I also applied some compression to the music. This brought the entire sound level up, which meant I had room to boost the sound effects. I still have much more to learn about sound mixing, but I'm happy that just a couple new techniques helped this trailer sound that much better. I zoomed in and added a little camera move here just to add some visual interest. The graphics were fairly simple because they were just a custom Widget Eye logo Dave sent to me, and the title card over a Photoshop background from the game's poster. I just added some rain particles, and a glow to the date and URL. This wasn't the most interesting use of this plugin, but for the glow I used Real Glow which you can get on AEScripts.com. The most complicated part was actually the subway shot. The game build I had didn't have too many debug tool options; I could only skip to certain sections, and hide the dialogue choices. The problem was that in the game, when you mouseover a character in that scene, they turn red. Also, the cursor is visible all throughout the scene. Further complicating matters is the tunnel seen through the subway window. What I wanted to do was have the characters stand up/down without any visible HUD elements, and according to my very specific timing. The final comp was a patchwork of masks to isolate characters, hide the cursor, and all manner of thing that probably could've been done more efficiently, but I got the shot; hopefully people understand what it's trying to communicate. This gif gives you a rough idea of the layers that were in this shot. Hopefully I succeeded in solving this problem of seamlessly explaining the unique hook of this game. One problem that I hope we can address in the future is the choice of gender and origin for the protagonist. In the game, those choices are made via dialogue trees, so there wasn't an elegant way to show them. I'm excited to see what point and click adventure game fans think of this one! I got this gig via Kert Gartner! Luna is a game by Funomena which was founded by Robin Hunicke and Martin Middleton who were previously members of That Game Company. I won't spoil the story of the game, but it centers around a small red bird. The game has primarily been at trade shows as a VR game, but will have a non-VR as well! The gameplay is centered around small terrariums where every little thing is interactive, tactile, and also musical! Each terrarium comes to life as you decorate it with trees, mushrooms, lily pads, grasses etc. In VR it's especially fun to see how each object reacts as you poke, and prod it. When I started this project, the game was very close to shipping, and their sole engineer was focused on the game, so he was unavailable to provide me with any additional tools or support. This unfortunately meant that there was no debug freecam that I could use, and there was no motion smoothing on the monitor camera when playing the game in VR. Motion smoothing makes it much easier to get good shots using the VR headset. No matter how deliberate and smoothly you think you're moving your body, your head makes a TON of tiny movements that can be nauseating to watch for anyone other than the person watching in VR. The first dolly-in shot of the trailer. I shaped the trees inward to draw the eye to the center. I'm very prone to VR-related motion sickness, so even scrubbing through non-smoothed footage in my editing timeline made me dizzy, and required me to take breaks. I was determined to make the trailer look as good as possible, no matter the hoops I had to jump through. I even got some anti-motion sickness medicine to help me get through the day. I wish I didn't have to go to those lengths, but there wasn't much else I could do. Every single shot in this trailer was done via the Oculus Rift. You might wonder how I got some of these shots. I'm glad you asked! The shots that probably stand out most are the dolly shots. The trailer opens with left to right dolly shots, and I have a couple dolly in/out shots. Even with Premiere's warp stabilizer, it would've been darn near impossible to get those shots while wearing the headset. I even experimented with a soft neck brace to reduce my head movements, but it still didn't help that much. My first attempt to create a "VR dolly" used Bubba, the duck dolly made by my sister Clara. I have carpeted floors in my apartment, and pulling these IKEA chairs across them proved to be smooth enough that with some warp stabilizer, they looked pretty darn good! Bubba ended up not being the best solution, because his head is too large for the Rift. What I ended up doing was putting the rift on a Doraemon plush I had. In the game I could recalibrate the position of the terrarium until it was in the right position to be filmed via my Doraemon dolly. Doraemon served a double purpose because the Oculus has a sensor on it that automatically turns off the headset if there's nothing within its range. Fitting it onto Doraemon meant that the headset was always active. Doraemon alone was too wobbly, so I put a blanket (knit by my mom) under him, which gave enough support to stop him from wobbling. I also had a box and another plush around in case I needed to adjust his elevation. The shape of the plush was perfect because the headset fit on his head, then the front of it could rest on his feet, so it worked if I position him on his back! Doraemon lying on a knit blanket proved to be a much more stable "dolly." The ideal situation would've been if I had a wheelchair or something that could move smoother, but this worked just fine, and I was satisfied with the shots that I got. Obviously I would've vastly preferred a freecam and motion smoothing, but it was actually kind of fun figuring out this solution. As for actually making the trailer, I focused mostly on matching actions to the music. It felt in keeping with how musical the game is, and I think just makes it more fun to watch. The goal of this trailer was to showcase the tranquil feel of the game, and the interactivity of the objects. The music I used for the trailer is actually the same as the music in this scene, so I was able to use it to time out my movements by just waiting for the section of the song I was syncing to, and then performing my actions. 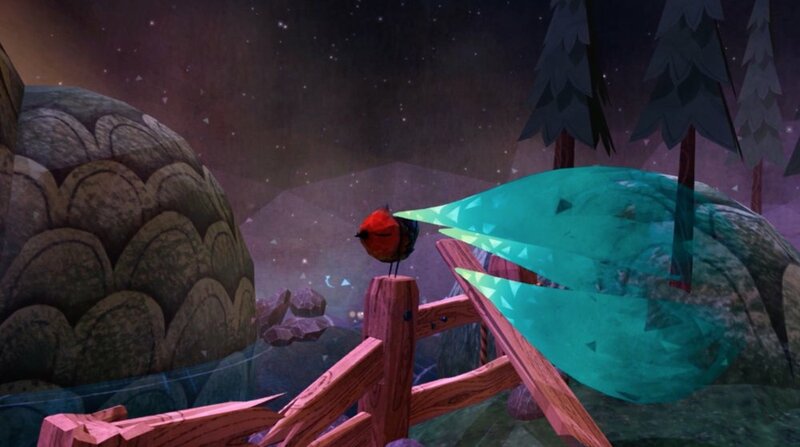 Do you want to pet a cute little bird in VR? Of course you do! Overall I'm pleased with how this turned out, especially in light of the difficulties I went through making it. My advice to people making VR games is to get that camera smoothing implemented as soon as possible, because it's essential to showing your game! The way I understand it is that it takes additional computer memory to have the monitor display a different image than what's in the headset, so I'd understand the hesitation to implement it. The reason the headset image isn't smoothed out is because that lack of motion fidelity can nauseate the user. But for some of the Cosmic Trip trailers I captured with a motion-smoothed headset image without any significant dizziness. Looking at unstabilized footage in Premiere was actually much more nauseating. All that aside, Luna is a very chill and tranquil game, so if that interests you, please check it out! This was another gig that I was amazed to see in my inbox! I liked previous trailers for Dead Cells, so I assumed that they already had someone helping them out. When I saw their booth at PAX West this year I didn't even bother going to hand them a business card, because I thought I'd be stepping on someone's toes. Just goes to show you can never assume, but it all worked out in the end! Dead Cells by Motion Twin is a 2D side-scrolling action rogue-ish game with procedurally generated levels. The game has some of the most beautiful, juicy art and animation that I've seen in a recent game. Before I got the gig I was holding off on purchasing it, because even though I heard it was very polished, as of the writing of this post it's still on Steam Early Access and GOG Games in Development. Sufficient to say this is about as fun a game to capture/cut for as there can be. I usually favor working on games with narrative driven gameplay, but of course I also love really crunchy video game-y video games. The art, animation, sound effects, music, and snappiness made it a TON of fun to cut this trailer. I also don't often get to cut with epic music, so it was an all around delight. Seriously, this game is juicy as all heck. The game feel, art, animation, lighting, effects, sound, and music are all a delight to the senses. Yoann Laulan composed a piece of music specifically for the trailer, which was exciting and epic in all the ways you could want for a trailer. A couple weeks before I started work, he sent me a draft. I listened to it, and had just a couple notes that I sent to him. Originally the electric bass in the beginning lingered throughout the whole piece, but something about it felt unresolved. The other note was that the cue felt like it had too many climaxes, so he tuned the ending, and then it was perfect! Right before I received a build, Motion Twin created a Slack channel for the trailer, and wrote up a document for what this trailer needed to highlight. They wanted a very fast kitchen sink sort of approach with title cards and quick cuts. "...focus on the “WOW I didn’t understand everything but it looks really amazing” effect. :D"
Trailers with epic music, action, snappy animation, and slamming title cards? I was more than happy to oblige. Title cards can be very boring in trailers, especially if they're being used to teach something to the audience, so I tend to avoid them if at all possible, but if there was a time and place for them, it's in a trailer like this. 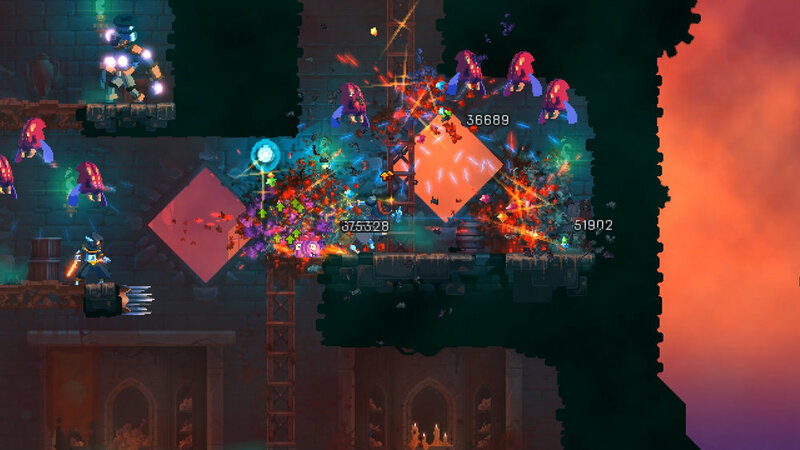 Action games like Dead Cells communicate well visually, because "player avatar hits bad guys, who explode into blood and gems" is something very easy to understand. Therefore, the title cards can be there just to hype the audience with some quick text. Motion Twin already had made some nice and simple title cards from a previous trailer, so they sent me their After Effects file. For this trailer I spiced them up a bit with a lens flare, some glow, more particles and a slam animation. I knew from the doc that they wanted to highlight new levels, the new boss, wall grab, enemies and weapons (not necessarily in that order). So after marking up the music cue, I put in placeholder title cards to see where they should fall on the beats, and also what order they should go in. Even though I prefer having few to no title cards, they're a nice thing to have when editing a trailer, because they're an easy way to start building your timeline. I originally put weapons around the end, because I thought it would be a strong way to finish. But later I decided to put them first because it would give context and permission to use them in the shots that came after. I also assumed that new abilities and weapons are what would get the audience excited from the get go. If there's anything that you know HAS to be in your timeline, put it in first to get yourself started, and also give yourself constraints! Dead Cells is a very good example of a game that is great to edit a trailer for. The specific reason is its animation and effects. When editing trailers I'm always looking for motion, and snappy actions to sync up with music. Dead Cells has this in spades with its ground pounds, weapons with weak and critical strikes, arrows, magic, explosions, teleportations, elevators, kicking etc. It's a mix of anticipation, hard hitting action, and climaxes that are *chef's kiss* for trailers. No matter how many trailers I've cut, facing a blank timeline is still very intimidating. In my mind I don't want to put anything in unless it'll look immaculate, but of course this is INCREDIBLY UNREALISTIC. So what will happen is I'll agonized and writhe on the floor (slight exaggeration) until I somehow work up the courage to put something in. I decided that this time I would put in shots that were generally what should be in the section, but knowing that the capture was going to be terrible. Then, seeing those shots in there would help guide me towards what I needed. It's much easier to fix something that's bad, than it is to create something from nothing. This worked great, but it was still painful to look at the horrible timeline. The debug tools for the build I had were extremely helpful. There are a lot of enemies, weapons, items, power ups, and status effects for just about every item. I was able to do this all from a handful of keyboard commands, and gamepad menus. I could also teleport between levels, adjust strength and health, and also make enemies ignore me. I lined up the motion of these two shots by adjusting the opacity of the first clip, and overlaying it over the second, and adjusting its scale/position accordingly. The weapons section took a while to do because not all of them communicate well visually. I also wanted the rhythm of the abilities to interact with the music as much as possible. So when recapturing for this section I tried to use weapons at the tempo of the music in each section (as much as the weapon combos permitted). A very handy debug tool here was the ability to spawn any enemy from the game by clicking in the left thumbstick. This made retakes very fast and easy! 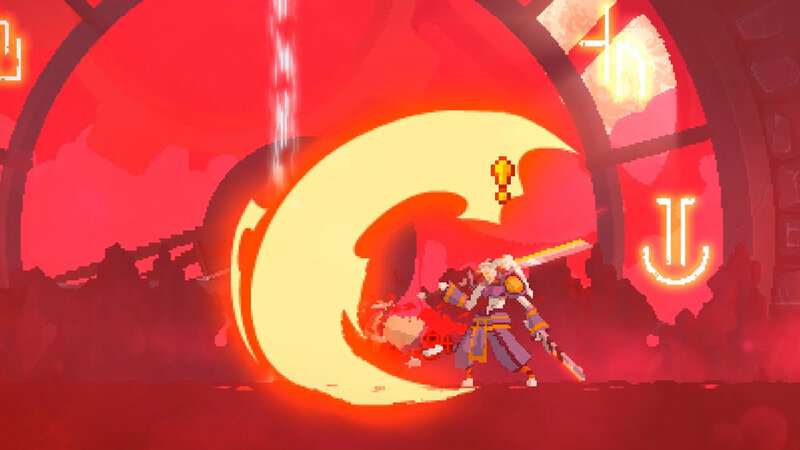 The other problem is that Dead Cells gameplay can look very chaotic when on screen there are multiple enemies, damage numbers, status effect text, sound effects, explosions, etc. In the game, the weapons have different "levels," the higher the level the more additional effects they have like: shooting grenades, arrows, or other status effects that add little icons to the player. This would've made the visuals more confusing, so I opted to use the first level for each weapon so that no additional effects would compete for attention. 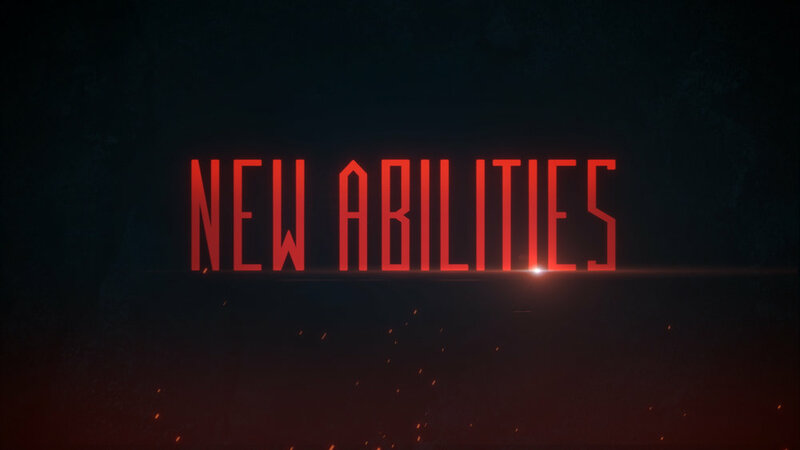 With the audience hooked (hopefully) by shiny new abilities, I put the "New Levels" title card which wasn't as exciting visually because stuff isn't exploding, but the lull in the music paired nicely with the steady pans of the levels. The vocals in the music nicely climaxed out of this section, and I augmented it with a rise. In the debug build, I could move the camera freely throughout a level, so I used this to show how tall the Clock Tower level is. I added motion blur in After Effects using Reelsmart Motion Blur which is a great tool that will add blur based on the motion in the shot. Shots in Dead Cells can very easily look incredibly busy, so I had to mitigate it in every way possible for visual clarity and readability. 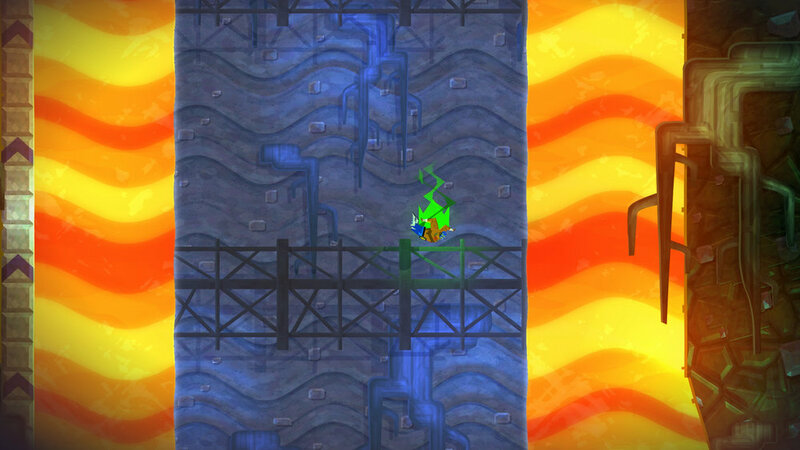 This is an unused shot where I had the damage set INCREDIBLY high via the debug tools. The enemies section was pretty easy to cut together. I'm not sure it's clear that the Golem teleports you close to it so it can hit you; I wanted to avoid making it look like the player had a teleport ability, so I tried to emphasize it by having the player running away when it happens. When capturing, the grenades of the cluster grenadier would occasionally blow up in a pattern that matched the music, so of course I incorporated that! Then for the boss, I just played a lot, and got lucky with a couple shots where I was playing well, and were very readable. The end montage was an opportunity to just show some more abilities I didn't highlight earlier. Originally I had some other clips with action and precarious platforming, but we later changed the end text to "It's going to be... brutal," so the last shots became the player dying. The final touch was the scene of the glowing moon after the first title card. I originally had a shot from in-game, but since it was just a scaling animation to mimic a camera zooming out there was no parallax effect; Motion Twin sent me a Photoshop file which allowed me to make the shot in After Effects with 3D layers. alternate angle for the opening shot in my After Effects project. And that's it! This was a short and sweet project. From the time I received the build to the final edit was about a week and a half. I got to cut with amazing visuals and music, which made it that much more fun. Lots of thinking of eye trace in this trailer because it's cut so fast. A bunch of the shots are zoomed in a bit so that I could compose the shots as needed for better eye trace. Another gig I got from a referral by Kert Gartner! I was pleasantly surprised and excited to see this email, because previously both Kert Gartner and Marlon Wiebe did great trailers for Drinkbox Studios on Guacamelee and Severed. Just goes to show you that there's a LOT of work out there, and when people have so much awesome stuff to work on, eventually difficult decisions have to be made. 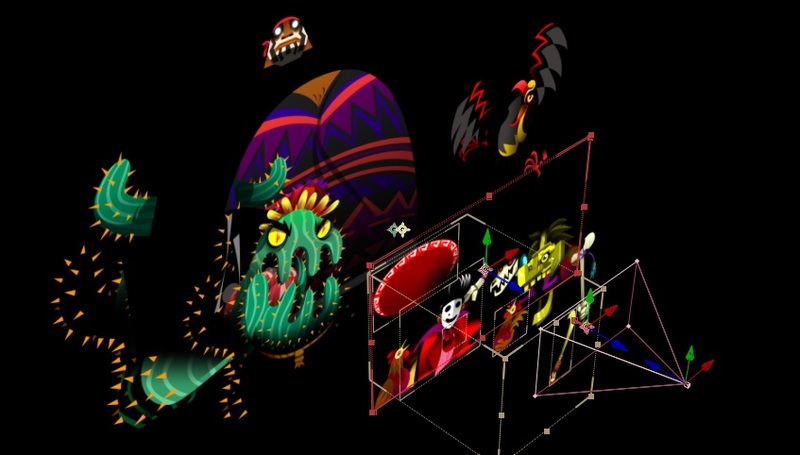 The first Guacamelee game came out in 2013; it's a Mexican folklore inspired side-scrolling metroidvania game with beautiful art and animation. There's no game that looks anything like it. The game really tests your dexterity to circumvent all sorts of combat encounters and platforming challenges. When Drinkbox came to me, they already had a rough animatic of the introduction, and music to use. My job was to take their final artwork, tweak the pacing, bring it to life with some animation, and add in a final gameplay montage, and sound design. Oh, and in 4k. For the cutscenes they wanted some 2.5D parallax effects where appropriate. I was glad to hear that it wasn't going to be TOO much more complicated than that, because I don't consider myself an animator, and didn't want to bite off more than I could chew. Initially I started by putting everything in 3D layers, but in some cases like the very first shot it didn't really make sense because the objects weren't far enough apart to parallax. For all of the 3D parallax shots, I used pt_Multiplane from AEscripts.com. It's a fantastic tool that will take your 2D layers, and set the apart in 3D space to a distance you specify without any of the size of the layers appearing different. This means it automatically compensates the scale of the layer based on the camera focal length and distance from the camera. Absolutely invaluable for this sort of project. The second shot had the most layers by far. Everything was made in Photoshop using shape layers which meant that I could resize it to whatever I wanted without losing resolution. I worked off the original file which had a TON of layers for every single element; I had to merge several layers so that they'd be on the same plane, because it just didn't make sense for every single element to be offset in 3D space. For example, two hands for a character might be on a separate layer, but in physical space, they're likely about equidistant from the camera. Initially with this shot I was really lazy about how I created the comp for each character. I just separated them individually with little to no regard for where they were in 3D space. But when I combined them into one comp and pressed the collapse transformations switch, the layers all went crazy; some were on top of layers they shouldn't have been have etc. So on a spreadsheet I wrote out what layers would be on what plane for every single character, and in relation to each other. pt_Multiplane also allows you to say from where to where in z-space layers should go. This worked perfectly the first time I tried it, phew! A look at the layers of a character offset in z-space. In my spreadsheet I wrote down each pixel distance, and what layers should be on each one. One thing that Drinkbox paid really close attention to was how video compression affected the artwork. The first time I received art there were a lot more gradients, but when gradients get compressed you can get some bad "banding" where gradients get simplified into what looks more like a rainbow with discrete sections. To combat this, several pieces of art were revised to have solid colors instead of gradients. Most dramatic shot of dipping a chip in guacamole ever? The montage of quick shots was a lot of fun. I don't often use the Puppet Tool in After Effects, but I had to use it a bunch for this. You'll probably recognize the 80s movie reference in the shot of the arms flexing as two hands come together. That one was the most complicated one to do. I used PuppetTools to create inverse kinematic rigs for the arms, though one of the arms stubbornly refused to function properly so I ended up keyframe animating it manually. It's such a quick shot that I think it barely mattered. Some extra layers had to be added to the Photoshop file; since in the final pose one hand's fingers aren't visible, it wasn't necessary to draw them. So for just a few frames (if that!) the hand is there before grabbing the other. From my After Effects project. Blink and you'll miss the hand in the background. I used video from the film for reference. Tostada also has some very light puppet tool animation on her limbs, and also I added some 3D depth of field blur to the enemy objects in the scene. For the final shot of Juan, I used the puppet tool to animate Juan breathing (I used Kert's Guacamelee trailer as reference) and also had to use the puppet tool to make the rooster head/necks wiggly. In early versions there was some artifacting caused by the puppet tool, so I had to change the resolution of the puppet segments to fix them. Notes from Drinkbox about the puppet tool artifacts I missed. Gameplay for this trailer was all captured by Drinkbox. My goal for this one was to just make it all flow very nicely. There's a lot of new stuff to show in this brief montage, and I wanted to make sure the audience didn't lose track of any of it. With the exception of the last few shots I'm pretty sure that the direction of motion at the end of each shot is the same direction that continues into the next. Then if the direction is changed in that shot, the following one also reflects that change. Of course I also did my best to cut to the music, and keep the eyetrace consistent. The downward motion of this shot continues in the next shot! That's pretty much it! A lot of the structure of this trailer was already there when I first started, I feel like I just tweaked it here and there so it all fit together better. I had a lot of fun making it especially because of the great music I got to work with, high impact shots with lots of nice action in them, and the voiceover set the perfect tone. It's also just so COLORFUL! I first saw Paperbark at PAX East. I really loved the art style and the adorable wombat, so I handed them a business card. Several months later they contacted me about making a trailer! If you've read my other behind-the-scenes posts you'll know that I get most of my gigs by referral; this is a nice exception that shows sometimes handing out cards DOES lead to work! This is a simple teaser, but it doesn't mean that I don't have anything to say about making it. The build I was provided for the game was just one area, which was fine because this was just to tease the game and reveal the 2018 release date for PAX Australia, At PAX East I played it on an iPad; the wombat walks towards where you tap, and if you tap in the white space, some of the world is briefly revealed with the paint effect you see in this trailer. Paperbark is instantly striking even just from simple screenshots! The game starts with a lovely shot of the camera coming down to the wombat's lair before it stumbles out. Unfortunately this shot was too long, so I initially shortened the shot via a dip to white. For the final version we ended up creating a luma matte so that I could start the shot later, but retain the painterly reveal effect. I wanted to make sure it was as true to the game as possible, so lead programmer Ryan Boulton rendered the matte out, and I added it in Premiere. One thing I have to remind myself is that game devs and video editors often use different terminology to describe similar effects. I had to explain what I meant when I said "matte." Maybe someday I'll make a glossary of terms to facilitate communication between our disciplines. A "luma matte" where the black portion either reveals or conceals the layer it affects. I was once asked how to approach a trailer for a game where there's not much action or movement. The answer is that "action" is relative. This is a short teaser, and all of my clips are some variation of the wombat walking through the woods. So I had to pick just a few moments that had more going on in them than the wombat walking. Compared to walking, the wombat eating grass is pretty exciting! The wombat getting stuck in the log is EVEN MORE exciting, and it has an element of suspense to it. Will the wombat get out?? (also, awwwwwwww). Then the wombat hops over a different log and surprises some birds. The wombat getting stuck, then circumventing the other log is the climax of this trailer. Then the wombat rolling in grass, sneezing and walking away is the denoument. Always leave the audience walking more. If you want the satisfaction of seeing the wombat get out, you'll have to play the game! See? Even a relatively sedate trailer can still follow a trailer's 3-act structure. At least, that was my thought while making it; maybe I'm making a mountain out of a molehill. While making this I knew that I was mostly leaning on how cute the wombat is, but that doesn't mean I didn't do my best to follow the same ideas about trailer structure, music editing and game capture that I hope to bring to all my projects. So the lesson is, that action and excitement can be found in everything as long as there's contrast! I got this gig via both Kert Gartner, and my friends at Campo Santo! Wheels of Aurelia takes place in 1970s Italy. You play Lella, who's taking a road trip on the Via Aurelia. It's an interactive visual novel where you're making dialogue choices, choosing which roads to take, and deciding whether or not to pick up hitchhikers etc. The art style, unique setting, and music are what really piqued my interest. For the iOS 11 App Store, developers now have the option for three app previews instead of only one. Studio Director Pietro Righi Riva wanted to take advantage of that feature. I took this gig as an opportunity to get a new iPad Pro to replace my ailing iPad 3. I also rented an iPhone 7 Plus from Dyal Rental. The logistical challenge was the multiple versions of each app preview. 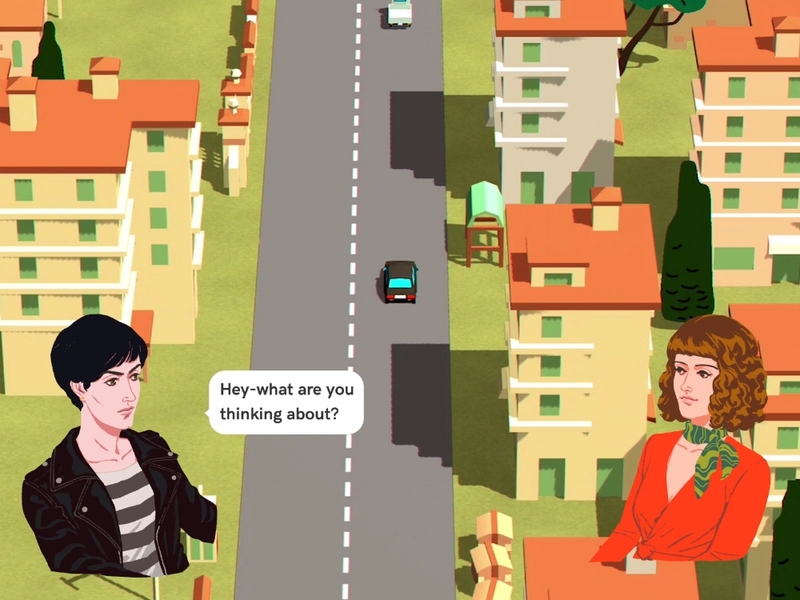 Wheels of Aurelia plays in portrait mode on iPhone, but landscape on iPad; each app preview needed separate capture, and graphics had to be custom made for each aspect ratio. That meant a total of 6 versions. I've worked on app previews in some agencies in Los Angeles, but in those cases, the apps displayed in landscape mode on both devices, so the solution was simply some creative cropping. This usually worked just fine unless there were UI elements formatted specifically for iPhone or iPad. This was absolutely not an option for this project. I did my best to choose short, but illustrative dialogue! The other challenge was figuring out how to give myself the flexibility to choose dialogue, the car model, the different areas to drive through, and the timing of each individual element. For example, if I only took dialogue from the moment it occurred in the game, I might not be able to show a wider variety of backgrounds. My solution was to capture the game with no character dialogue overlays, and recreate all the dialogue as separate layers in After Effects. Oh, and each preview had to be localized in 6 additional languages. 3 app previews x 2 aspect ratios x 7 languages = 42 versions! Multiply each of those graphics counts by 7, and that's about how many graphics files I had (not including graphics that didn't require translation). This probably could've been aided by some dynamic linking between Premiere and After Effects, but I've had troubles using that function, so I decided not to risk it on such a huge endeavor. First let's talk about the fun stuff which is the story, direction and editing of each app preview! The game is meant to be played in short sessions, because each trip only takes about 15-20 minutes, but it encourages multiple playthroughs because of the variety of characters you might encounter, and the multiple endings. The main directive for these previews was that they wanted to make it clear that it's an interactive visual novel, not a racing game. I took a look at the original launch trailer; I wasn't sure whether or not the editor intended for the audience to read the dialogue in the trailer, and also there was an entire section with no dialogue overlays. For these previews I wanted the dialogue to be the focus; the background would make it pretty, and add visual interest. I played through the game several times to see as much of the dialogue as possible, and did a breakdown to see what I had to work with. The standout parts of the game are its characters, the setting, and time period. I don't know anything about modern Italian history, so I found it interesting when the characters talked about real life events. I liked this exchange in particular. a focus on the time period. Each would also have to feature at least one moment when I could show the dialogue selection interface. I had to nail down the full screen title cards as soon as possible, because they had to be translated. I went back and forth with Pietro and Dana Trebella (who worked on the messaging for the game). The first app preview takes the broadest approach; the dialogue focuses on the road trip, self discovery, freedom, and also some direct callouts to the features, such as choosing routes, multiple endings etc. For the second preview I tried to show the humor of the game via its colorful cast of characters. I especially like the joke at the opening with the priest. My goal was to use dialogue to show the breadth of the characters. If they were all talking about the same thing, the audience would get a narrow view. The third preview uses topical dialogue (for the 1970s time period) to show the audience how the game uses the history to give some context, and maybe even teach them a thing or two. 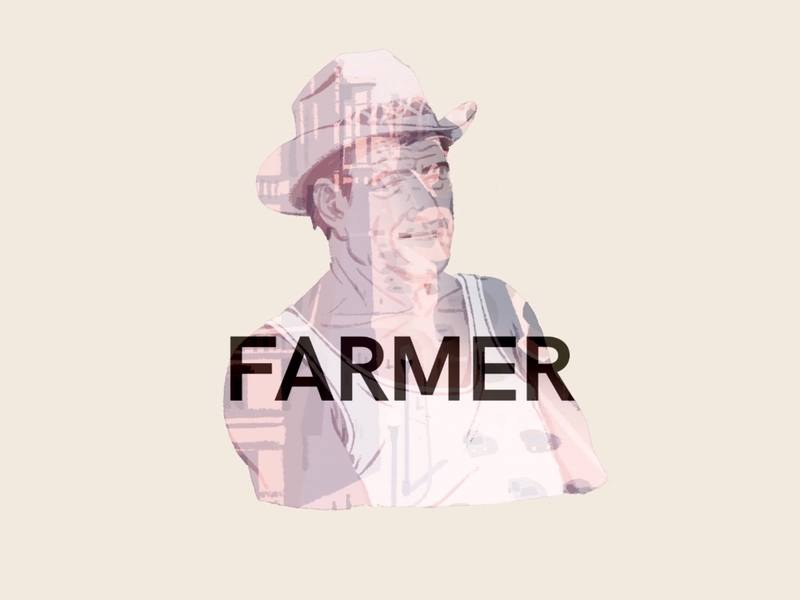 These title cards were in the style of opening credits from the game.. From this project I learned that Farmer is "Bauer" in German. Just imagine Kiefer Sutherland saying: "This is Jack Farmer..."
All together I think these app previews give a nice variety for the interesting facets of the game. Had I made a full launch trailer I would've tried to combine these all in one, but for iTunes, the app previews are far more important because it's the first thing a potential customer sees. Something else we went back and forth on a bit was the pace of the previews. I initially went straight for the most exciting music cue, but Pietro was worried it seemed too action-y. His hope was to attract the audience who played games like 80 Days. This direction helped me to hone the feel of the first app preview; I used a different piece of music, and let the shots breathe a bit more. Okay, back to some technical solutions I had to come up with. The first hurdle was replicating the dialogue bubbles. The most important part was making bubbles that would dynamically change in size based on the text that was inside of it. I knew this HAD to be done by After Effects expressions, because the amount of manual work would've been unthinkable. Unfortunately I'm not an After Effects Expression wizard, so I had to go looking for some sort of template. I found this preset on the Creative Cow forums which worked PERFECTLY; I just had to add some rounded corners, and adjust the padding. Looking at stuff like this gives me a headache, but it also saved me tons of headaches, so I guess it balances out? I also found this expression for an easy to customize typewriter effect. As always, thanks to Dan Ebberts who always seems to be the person answering expression questions in the Creative Cow forums. Btw, every time I have to fix an expression I feel like a grow a new white hair. So thank you to all game programmers out there who dealing with this stuff on a daily basis, y'all are saints. Another issue I ran into was how the bubble moves upward when a second line is added. There's probably an expression that exists that would've solved this problem, but since time was a factor, I added some hold keyframes that I would manually adjust for every single bubble. Menial and inefficient yes, but I eventually fell into a rhythm, and it worked fine. With the bubbles all formatted, I created templates for the iPhone and iPad layout. Even with my templates there was still some case by case tweaking I had to do on nearly every single bubble, but it still was MUCH more efficient than doing it all by hand and/or doing it all via game capture. A dialogue layer before compositing in Premiere. After the versions were locked, the localization was simply a matter of a LOT of time spent cutting and pasting to/from spreadsheets. There was a lot of reformatting because some of the translations has some very lengthy words (I'm looking at you German and Russian!) After that, it was a lot of double and triple checking the translations. At one point working on localizations it was so late at night that I knew it was better to go to sleep, and continue the next day, rather than stay up late and work slow/badly. I briefly toyed with the possibility of having all the graphics, and all the sequences in one ENORMOUS PROJECT. But I thought better of it, and decided to duplicate my Premiere and After Effects project files to be specific to each language. The last thing I wanted to deal with were the wrong languages being rendered out with different suffixes etc. This is also when I found out that in After Effects there's no way to batch change the destination for multiple Render Queue items, WTF??? This sight also gives/saves me headaches. The game is of course also available in Italian, but it's not in this screenshot. Another tool I got to help with organizing was AE Global Renamer 2, which could batch rename comps and precomps. Fortunately I only ended up making some minor tweaks to each language, mostly related to capitalization, and some translation fixes that were needed for how the dialogue or full screen graphics were being used in the trailer versus being used in the game. Like I said, I learned a lot about scoping for this project, but it all got done, and the game is now available in the App Store! The one thing that miffs me is on the iOS 11 App Store, the previews start auto-playing with no audio (similar to Facebook), and there's no scroll bar, so people will have to watch the preview more than once if they want to see it from beginning to end with all the audio >_<. At the beginning of the project, Pietro told me Apple encourages the use of full screen graphics, this must be why. There's certainly nothing out there like Wheels of Aurelia, so if you want a short visual novel set in 1970s Italy, please check it out!